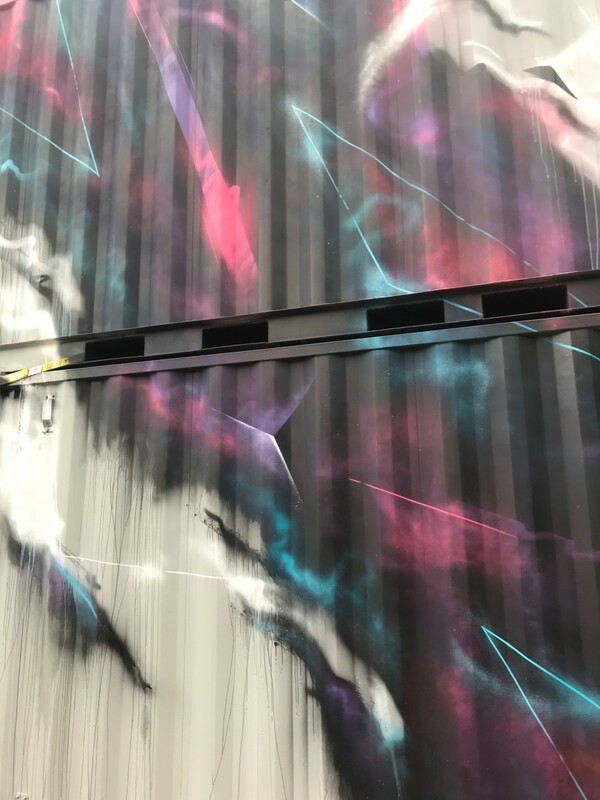 Got an opportunity to paint a small temporary mural on a stack of shipping containers for HUBweek 2017 in Boston. 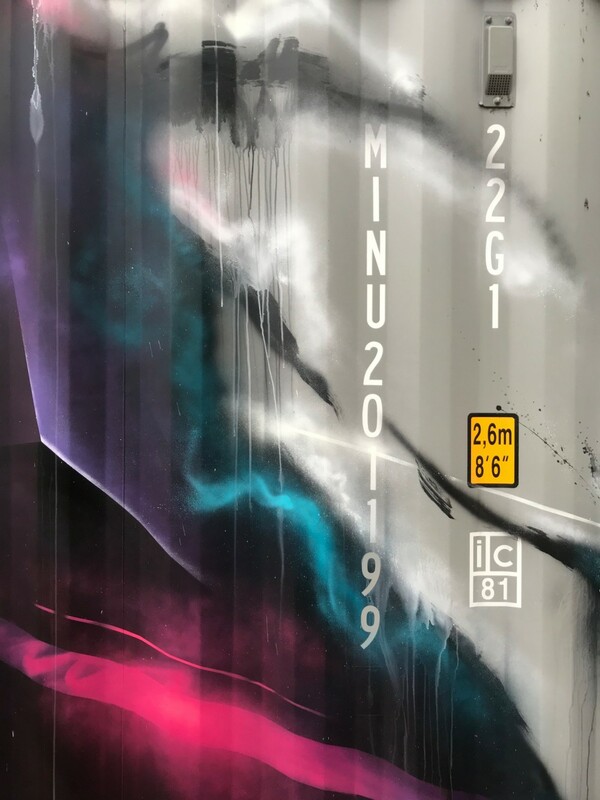 Alongside some great local artists like, Marka27, Percy Fortini-Wright, Kenji Nakayama, Imagine, Caleb Neelon, David Teng-Olsen, Cedric Douglas and international art-celeb INSA. 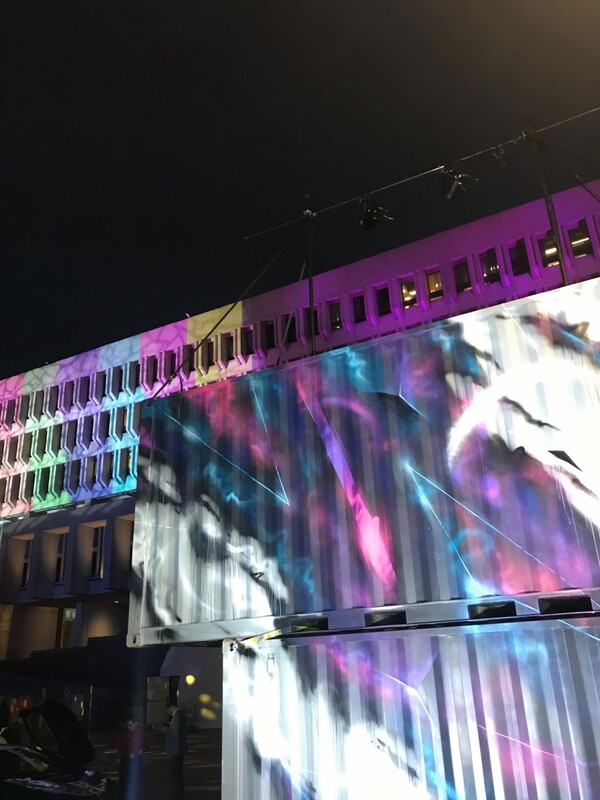 Was great working alongside old friends and new on a cool new event for the Boston area. 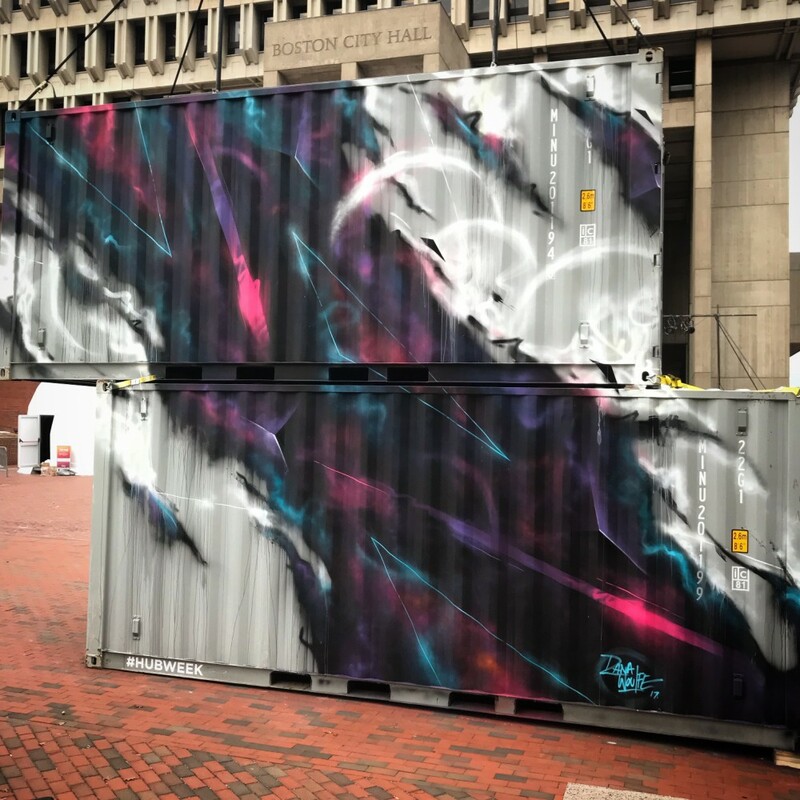 Big thanks to the organizers of HUBweek for having me and a special shout to Steez for all the hard work!! 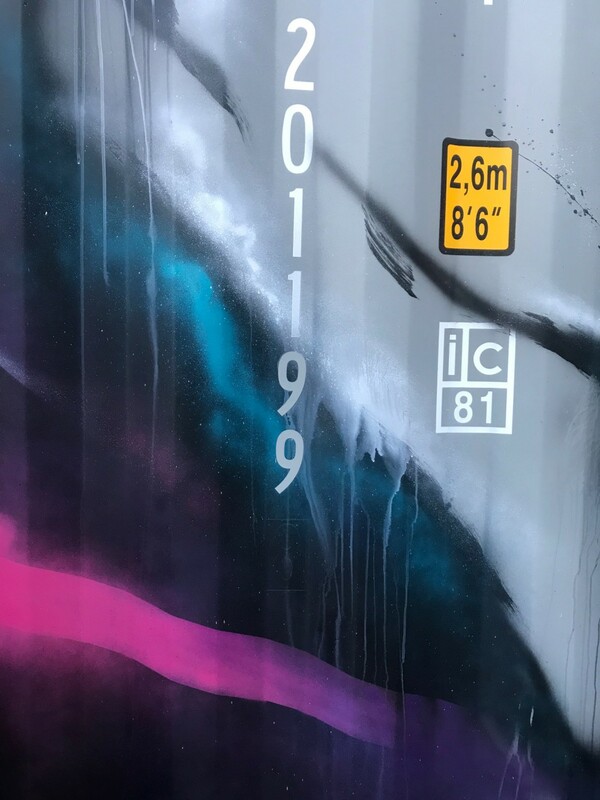 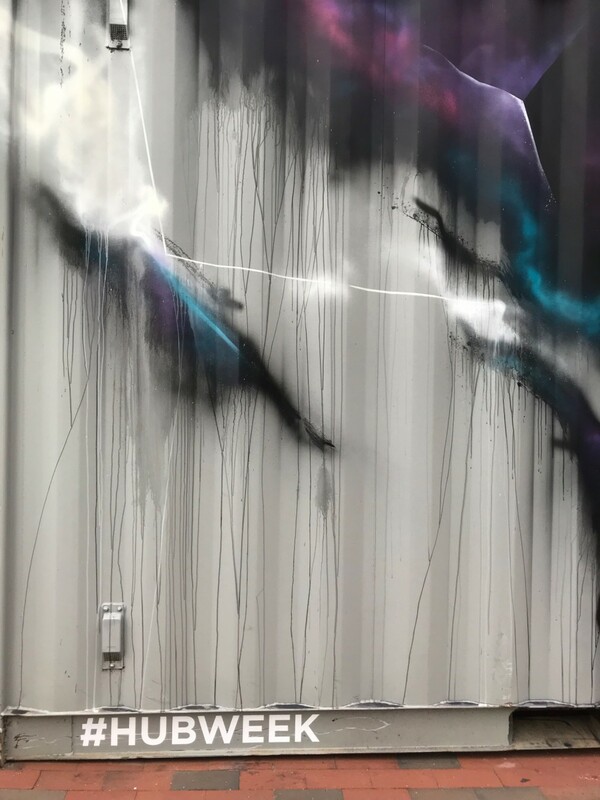 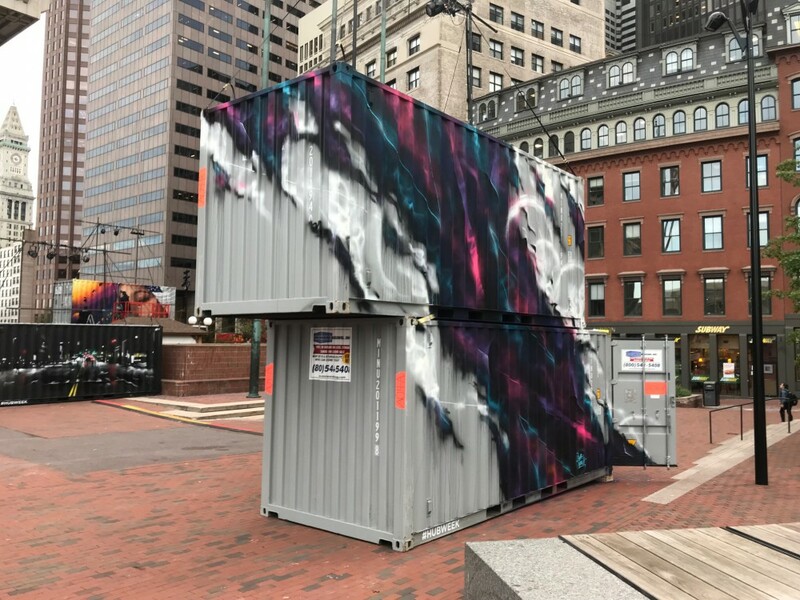 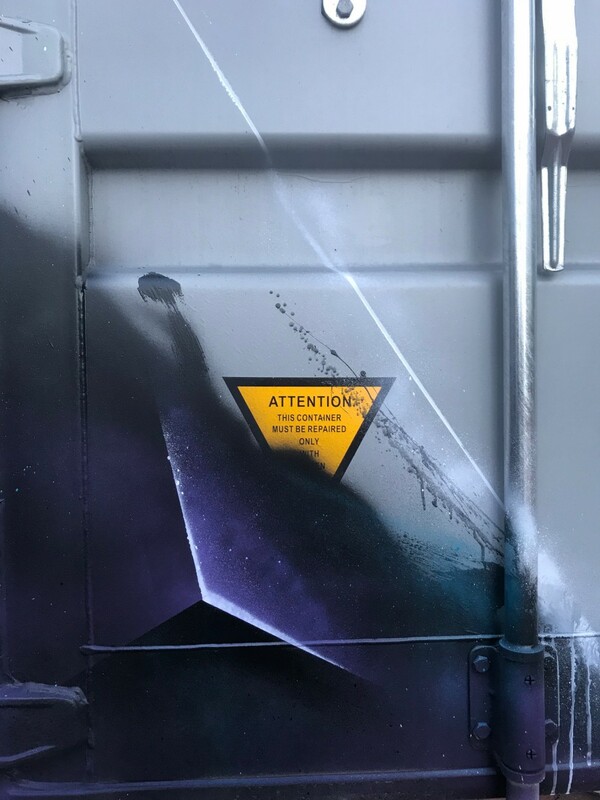 December 11, 2017 | Filed under events, murals and tagged with abstract, art, artist, artwork, boston, container, container art, custom artwork, custom mural, dana woulfe, government center, graffiti, graffuturism, HUBweek, installation, kenji nakayama, live art, massachusetts, mural, murals, painting, shipping container.